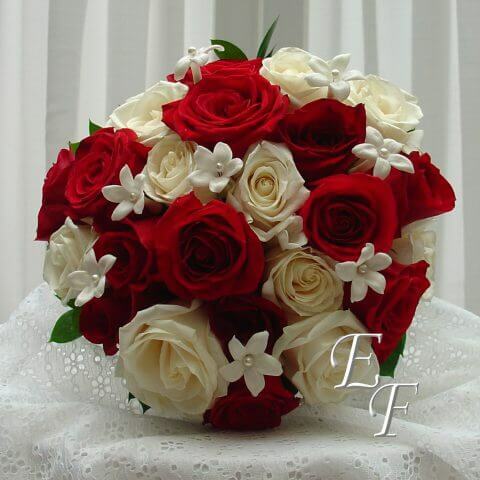 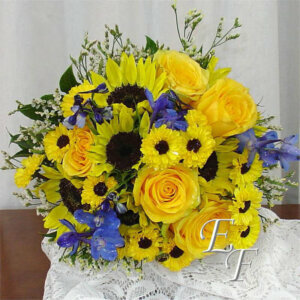 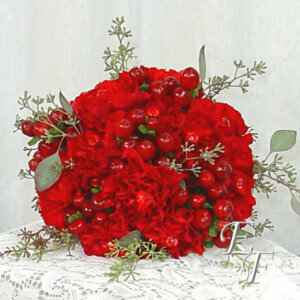 Our Red & White Rose Bouquet is a classic mix for any time of year. Our Red & White Rose Bouquet is a classic mix for any time of year. 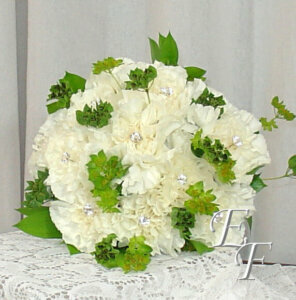 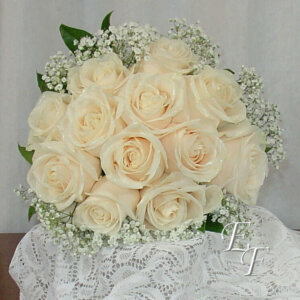 White Stephanotis with pearl pin accents complete the bouquet.